The contents of this web project have been carefully checked and created to the best of our knowledge. However, no claim is made for the completeness, timeliness, quality and correctness of the information presented here. Accordingly, no responsibility can be assumed for damages resulting from trust in the contents of this website or its use. The provider of this site has no influence on the content of the linked pages. They did not contain any legally and morally compromising material at the time of linking. Should this change in the future, we will remove the link as soon as we notice the error. 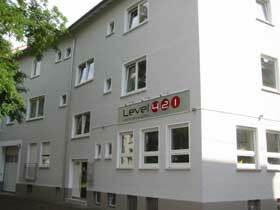 The copyrights of the contents are owned by Level421 GmbH. All images are protected by copyright and may not be reproduced, reused or used for commercial purposes.